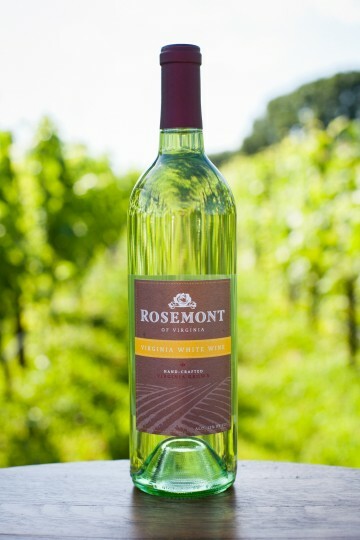 The Rosemont Virginia White is our estate dry white wine blend – one that is versatile for any occasion or cuisine. It is a crisp dry white, reminiscent of a Pinot Grigio, yet it has more body and fruity characteristics that also harken to our signature white wine, Lineage. It’s a blend of all of the white hybrid varietals that we grow on our estate – Vidal Blanc, Chardonel and Traminette. Available for purchase online in a standard 750ml bottle. We do carry and sell 3L boxes in our Tasting Room and through various shops throughout Virginia and Washington, DC.